Croteam finally brings its philosophical adventure to the PS4. Croteam’s award-winning puzzle adventure game The Talos Principle will be releasing on October 13th for the PlayStation 4 courtesy of Devolver Digital. The Talos Principle: Deluxe Edition will include both the base game and the recently released expansion Road to Gehenna. The Deluxe Edition will also be available as a boxed retail release in Europe, Australia and Asia thanks to Bandai Namco. Nighthawk Interactive will provide the same in North America. 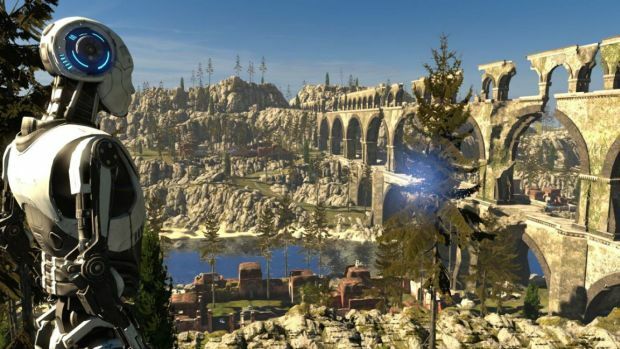 The Talos Principle is perhaps one of the most unanticipated games of 2014 because it released at the tail end of the year and blew away both critics and gamers alike with its stunning art work, deep philosophical questions and mysterious storyline. Road to Gehenna expands on this significantly by allowing players to visit a hereto unexplored area of the simulation and play a whole new story. What are your thoughts on The Talos Principle: Deluxe Edition finally releasing on the PS4? Let us know in the comments.